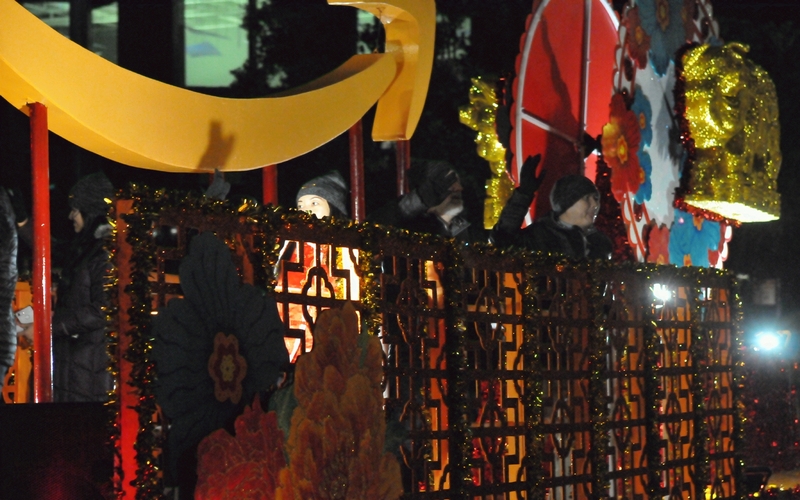 The Amazon float featured the classic Amazon smile. 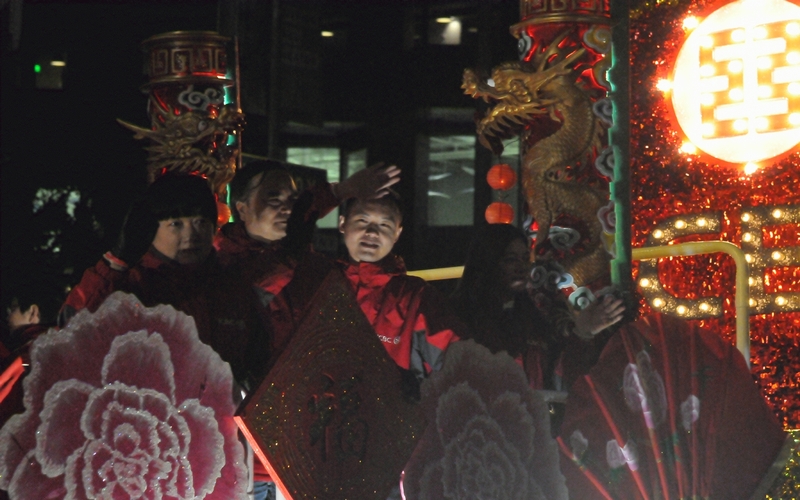 The float for the Industrial and Commercial Bank of China had kids waving from it. Just beyond the kids were two dragon columns. 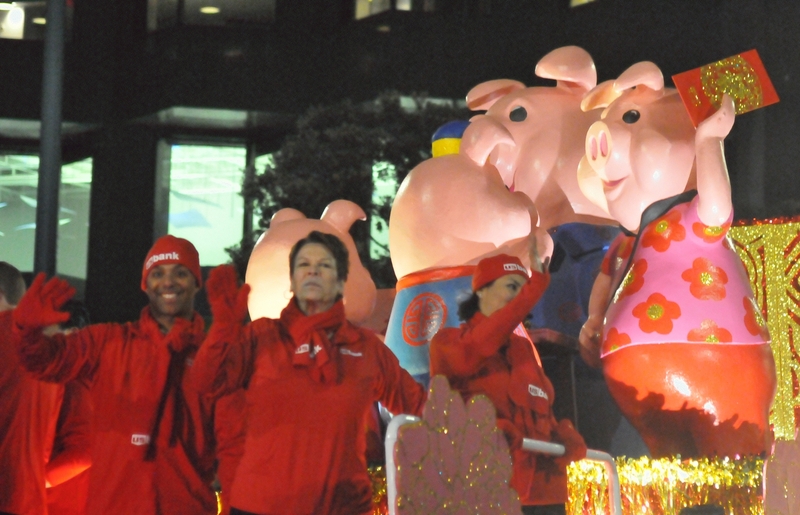 The US Bancorp float featured folk waving to the crowd, and a family of pigs holding a bank pass-book. 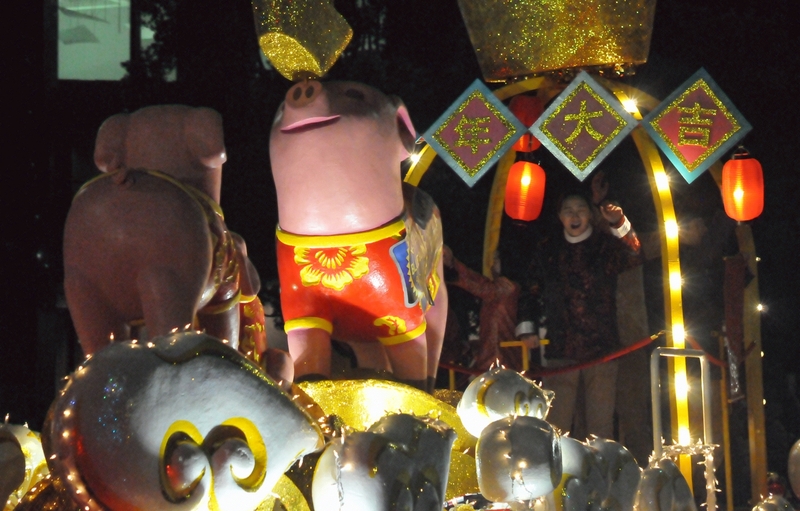 The float for Hundai Group featured one pig balancing gold drums on its nose while another pig watched. 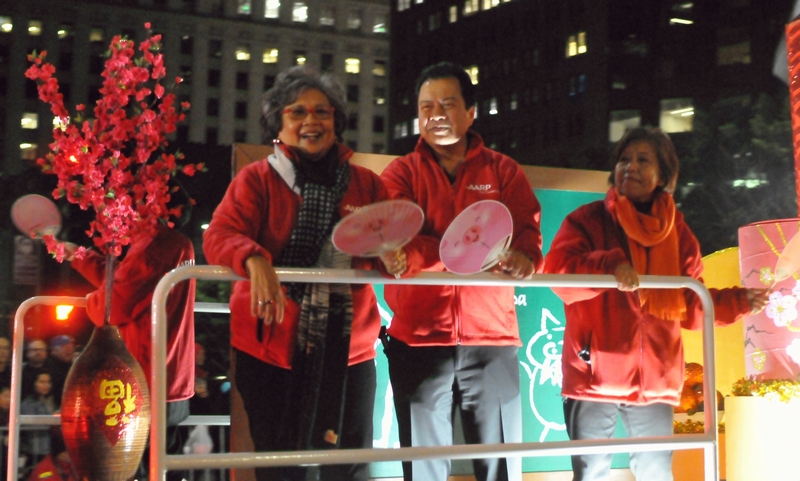 People waved fans at the crowd while riding the AARP float.